Shooting in any confined space is tough, but shooting the upcoming indie film “Room 105” in just a small motel room, while maintaining a very specific, high end, film noir look, felt like a near Herculean task. “Room 105” is the story of a businessman (John Robinson) who checks into a small, out-of-the-way motel to look for a hidden fortune somewhere on the property. Things gets complicated when the lonely motel owner (Lorraine Nicholson) gets in the way and her policeman brother’s (Jon Abrahams) intimidation takes the entire cast into some very dark places as each character tries to figure who is about to do what to whom. Most of the action takes place within the protagonist’s small motel room. I was the producer on the film and worked alongside director Patrick Mulvihill and cinematographer Camron Carrier. “Room 105” is a nod to classic noir films, with the gritty and grainy looks of films such as “Collateral” and “Heat.” We shot it on a tight, independent film budget, but still wanted it to have the look and feel of a Hollywood blockbuster. 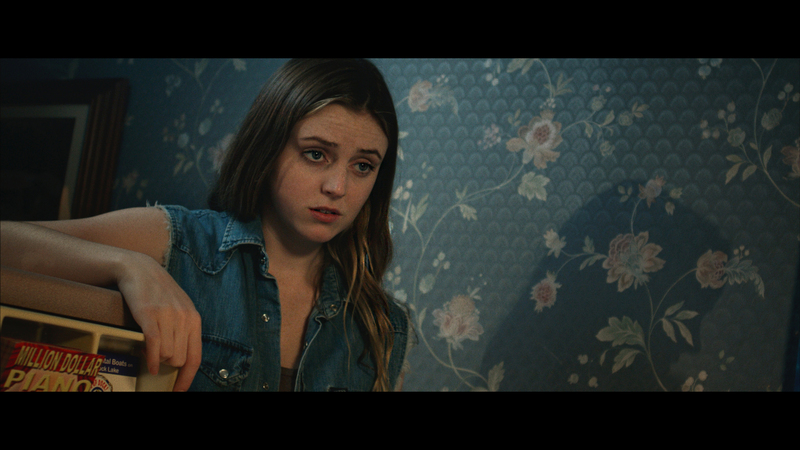 To get this look, we used Blackmagic Cinema Cameras and DaVinci Resolve for color grading. We shot the film using Blackmagic Cinema Camera EF cameras, along with a variety of Zeiss lenses and with camera rigging from Swedish Chameleon. For lighting we used a number of Kino Flo light kits. The entire film was shot in RAW and Camron shot primarily at ISO 400, although some shots we would push to ISO 800. We captured footage directly to a laptop, where DaVinci Resolve was used for initial grading. Dailies were created on set, with final color correction at Company 3. Being pressed against the wall (literally) in a confined space, with the crew and actors all jammed together, depth of field was always a primary consideration as we strove to create those perfect noir looks. So it was important to us that the camera equipment take up a minimal amount of space and be as mobile as possible. To create some iconic noir images, we wanted to capture some dramatic face shots using harsh lighting. The Kino Flo lights are great, and let us flood where we wanted with harsh lighting, while being able to constantly adjust the light temperatures on the actors. So we used harsh light, but still shot a lot in the dark. The Blackmagic camera gave us a cinematic image, as well as a flat image that we could get the most out of. We really liked the natural grain of the camera. One of the great things about the Blackmagic Cinema Camera is that you don’t need a lot of light when shooting because of the wide dynamic range and ability to shoot in RAW. We could shoot and get as creative with the lighting as we wanted because we knew that the camera would capture the details we needed regardless. The Blackmagic camera was compact but flexible enough to let us use the other gear we wanted. The Swedish Chameleon cages and rigging in particular are some amazingly useful gear, and let us get right into the shots we needed without crowding the actors. Because “Room 105” is an independent film, budget was definitely something that had to be kept in mind. Missed shots or extra days on set just couldn’t happen. An efficient production and post production workflow was a primary concern of ours – and efficiency was one of the things that we were well prepared for, with Camron coming to the set with a background in both film production as well as action sports production. By setting a basic LUT with Resolve and then shooting with the Blackmagic cameras in RAW, we could take the footage, throw it on our laptop and shoot it right over to post. There was no time for waiting, and having a quick workflow from shooting to grading was so useful. I think that for indie filmmakers, this is a very important camera and changes the way we can work. Now we can do what only a few years ago was limited to bigger sets. Doug Fox began his career 15 years ago producing Toyota commercials. After a few years he founded Digital Intermediate/vfx and feature finishing company Local Hero. Immediately following Local Hero, Fox was CEO of 5th Kind/OTC Productions. Currently Fox is financing and packaging independent feature films with “Room 105″ being the first installment. His next film “Lucy” (2016) will begin filming February 2015 and is a dramatic post-apocalyptic thriller.